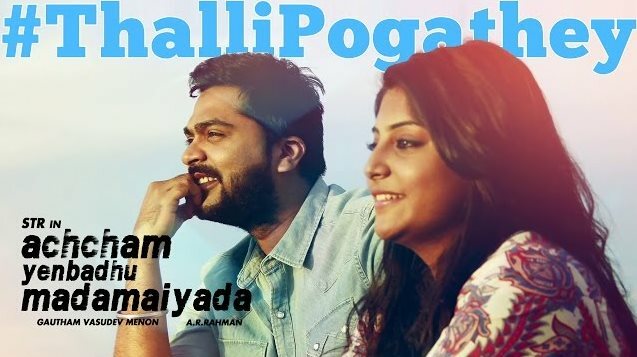 Beleive it or not, but the fact is that ‘Thalli Pogathey…’, a song from Gautham Vasudev Menon’s ‘Achcham Yenbadhu Madamaiyada‘, has crossed one crore views on YouTube. This has made the entire team, especially Gautham, so happy. “One crore views of thallipogathey..that’s great validation of a new age song, straight from the heart composition and soul stirring lyrics,” the director posted on his online page. He added: “And it’s a beautiful coincidence that we are filming the song today..” The number is currently being shot at beautiful locations in Turkey, it is learnt. ‘Achcham Yenbadhu Madamaiyada’ has music by Oscar-Grammy winner A R Rahman. Tipped to be an action-romance, the movie has Manjima Mohan from Mollywood as heroine.